Bypass Hand Pruner supplier - Wise Center Precision Appliance Co., Ltd. Wise Center Precision Appliance Co., Ltd. Founded in 1991 in Taichung, Wise Center Precision Appliance Co., Ltd specializes in developing and manufacturing a variety of gardening tools for both DIY (do-it-yourself) users and professionals, mainly offering garden shears, lopping shears, hedge shears, pruners, grass shears, extended tree pruners, water pipe shears, branch pruners, saws, and PVC pipe cutters, as well as flower scissors, grafting shears, small tools and related gardening accessories. President Thomas Lin insists to run quality tools. With a focus on IQC (input quality control), IPQC (in process quality control), and QA (quality assurance), Wise Center has achieved ISO9001:2008 certification and our products meet Germany's GS (GeprUfte Sicherheit) standards. Moreover, over 24 years experiences, know-how in strong and effective R&D and production and owned over seventy patent products, Wise Center has earned an incredible reputation for high quality, prompt delivery, competitive prices and good service in the market. Wise Center Precision Appliance Co., Ltd.’s highly trained professional workforce and dedicated engineers are committed to meet customer’s satisfaction. Our Pruners, Garden Tool, Loppers, Pruning Shears, Saws and Bypass Hand pruner is widely appreciated by the customers due to their longer functional life, reasonable price and less maintenance. 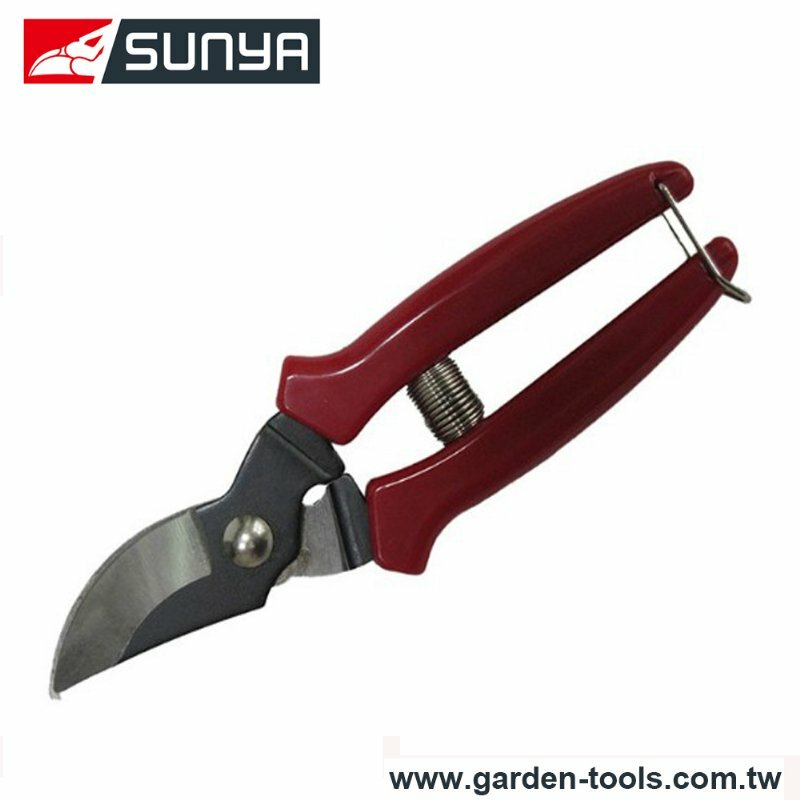 The shears is designed for fruit harvesting and bonsai plants. Dear Sir/Madam, I’m interested in Bypass Hand pruner, 232H15 that your company provides. Would you kindly contact me with your detailed product information and FOB price? Thanks. Please mail me detail information of products, services and news of events. Wise Center Precision Appliance Co., Ltd. believes that providing the best qualified products, excellent service and advanced technology can create the most value for customers. As a leading manufacturer of Bypass Hand pruner, we keep the world running in every area. If you want to make a suggestion or place a feedback about our staff, service or website, please phone or email to us, we will reply you as soon as possible.